I’ve had the pleasure of testing out these beautiful organic lovelies for the fabulous Babipur. Lamazuna is a new line they’ve just added to their amazing Health & Skincare section. I’ll not be needing to shop anywhere else now that I can get all my toiletries, toothbrushes and even makeup at Babipur! Lamazuna are a French based, vegan and fair trade natural cosmetics brand. 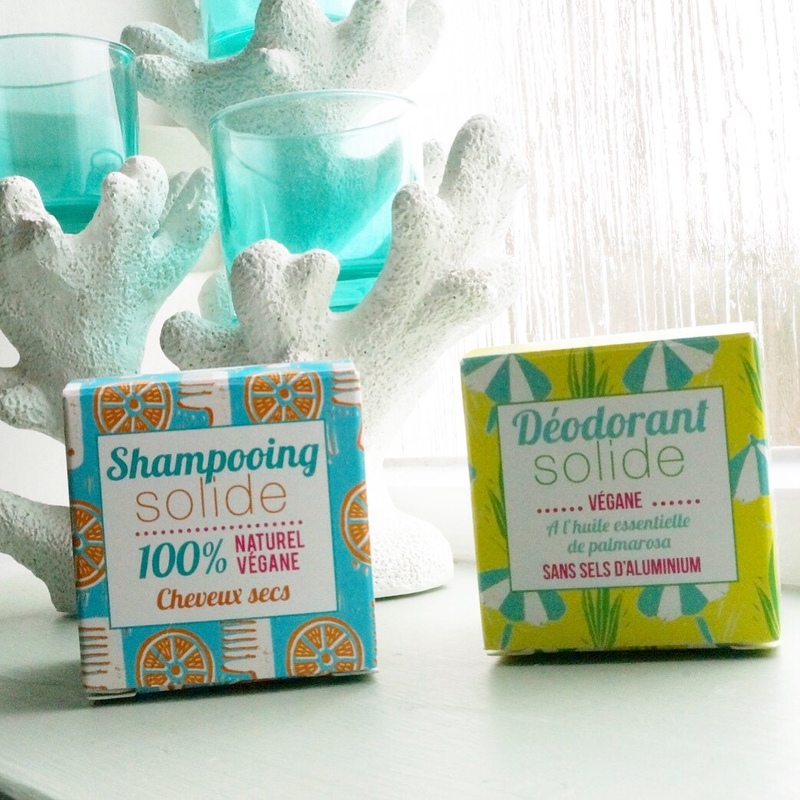 They produce all sorts of goodies including solid shampoo for all hair types, solid deodorants and personal hygiene accessories. All their products are packaged with reusable or recycled minimal packaging. They’ve truly embraced the zero waste lifestyle so many of us are aiming for. Also, they donate 2% of their profits to an Amazon Rainforest Charity. You get 10 perfectly sized cleansing wipes in a cute wee wooden storage box. The set also comes with a handy little drawstring net bag, which is perfect for throwing in the washing machine. The box can obviously be repurposed for anything you like, right now I’m using them as a convenient way to hide my ugly contact lens pot during the day! This is much prettier! These pads are the perfect size for removing eye make up and giving your skin a once over with toner. I’ve loved using them. They’ve washed really well and are still lovely and soft on my skin despite a few rounds in the machine now! The drawstring bag is essential for keeping them all together during washing. These pads would definitely end up wedged in every nook cranny and filter if it wasn’t for the bag. It is made from GOTS certified organic cotton, which makes it that extra bit lovely! Lamazuna Solid DeodorantI have to admit I was slightly bewildered at the size of it. The box was tiny and the wee bar itself was pretty innocuous! The bar has a lovely delicate lemony almost tropical scent, subtle and not overpowering at all. I really like the shape of it too, very simple and well thought out. To apply; you wet the bar (I run it under the tap) and rub/roll it straight on your skin. It dries pretty quickly and despite it not being an anti-perspirant you still feel very fresh. I was worried how long it would last though but thankfully running around after 3 boys it’s had a thorough testing! I’ve been really impressed how well this bar works. I was a bit paranoid at first but at the end of each day I made my husband check me over! You don’t go to bed smelling as fresh as you do when you apply but you don’t go to bed stinking so I’m calling that a win. I had a bit of a reaction to it on day 3 but I think that was just my body adjusting to it. I tried again a couple of days later and I’ve had few more reactions so I’m thinking this bar isn’t for me unfortunately. The search continues for a natural deodorant! For my hair I got the solid shampoo bar with orange essential oil. This particular bar is suited to dry hair. My hair isn’t dry but it is very thick and naturally curly, so I figured I go with the one most likely to keep my hair moisturised. This bar smells delicious, I love anything Citrus so I knew this would be a winner. The bar is easy to hold in the shower, cups nicely in the palm of your hand. To apply you wet it and make a lather (like soap) and rub into dripping wet hair. Most bars I’ve used don’t lather particularly well so I was prepared for this to be the same. It takes a few goes at first so I turn the shower off and take my time applying it knowing water isn’t being unnecessarily wasted. After working it into all the roots and layers you can feel how well it covers your hair and soaks in, which I personally find quite reassuring as I have a lot of hair. After that I turn the shower back on give it a good rinse and I’m ready to condition. My hair smelled lovely after washing and was still light and well nourished. Comparing this to different bars I’ve used it held up well. I tend to wash my hair once or twice a week and I experienced no disruption with that routine after swapping to the Lamazuna shampoo bar. I’m tempted to try a Normal Hair type bar to see if it makes any difference but that’s just personal curiosity and the fact I quite fancy the chocolate one! Great thing about these bars is they last for ages, take up next to no space at all in your bathroom and they’re perfect for travelling with if you pop them in a wee tin or a mini wet bag and there is absolutely no waste. The little cardboard box it came is in fully recyclable and the bar itself will be used in its entirety. Perfect zero waste box ticking right there. I’ve got a wee crocheted mat for the shampoo bar to sit on in the bathroom. This way it can dry thoroughly between uses. This is a picture after 2 weeks of use (or 4 times on me and 3 times on my 7 year old son!) It is great value for money, this is going to last ages! You can find the Lamazuna range at Babipur here! *The Lamazuna range uses essential oils and not all are safe for use during pregnancy or whilst breastfeeding. Babipur clearly state which ones include essential oils so please read the product information carefully before purchasing.